​We maintain a register of all children who have entered Year 4 and will be applying to go to Bishop Luffa School. Please could you therefore make sure the Churchwardens know that you will be applying, so that they can add your child to this list. This will ensure that they are in a position to complete the Church Support Form at the appropriate time. 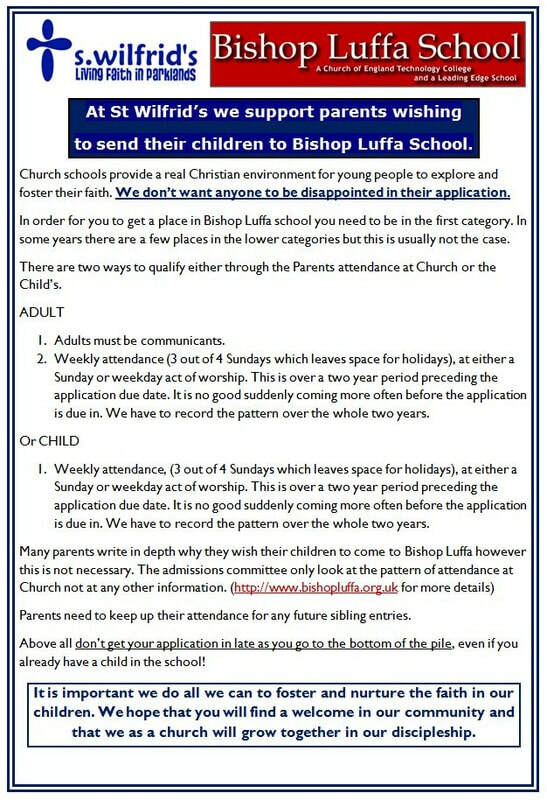 Click on the Picture below for the Bishop Luffa Admissions site.